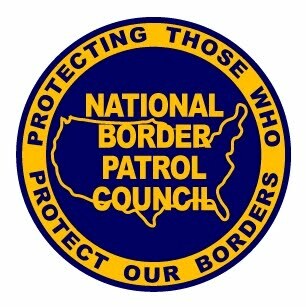 Shawn Moran is the Vice President of the National Border Patrol Council (NBPC), which represents more than 17,000 border patrol agents and support staff. Last week, he appeared on the Pete Santilli Show, whose host is organizing a protest to shut down the U.S.-Mexico border on July 5th and who previously called for President Obama, Hillary Clinton and the Bush family to be shot and killed. The NBPC has a conservative stance on immigration, so it’s no surprise that Moran’s name appears regularly in right-wing outlets. But he crossed the line by lending credibility to an extremist like Pete Santilli who wants to shut down the very thing – the border – that he and the people he represents are sworn to protect. Santilli told Moran that he was hearing from a confidential whistleblower source that the Border Patrol was planning to train undocumented immigrants detained at the border to help manage the border. When Moran said he hadn’t heard anything about it, Santilli speculated that the Border Patrol was restricting the media’s access in order to conceal the plan (they’re more focused on “suppressing” and “containing the media” than undocumented immigrants, he claimed). Last week on his show, Santilli blasted Maricopa County Sheriff Joe Arpaio for failing to believe his claim that Arabs are coming across the border in the midst of the current refugee crisis. “There are Arabs coming over the border,” he said. “I personally saw them.” Santilli repeated a version of the claim to Moran, saying that he personally witnessed ten asylum-seekers of Arab descent being dropped off by Department of Homeland Security personnel at the Phoenix Greyhound station. Santilli circled back to his “Cinco de Julio” protest, saying to Moran, “you do not need to endorse – I understand how sensitive this is.” He then said that shutting down the border would send the message that “we’re not going to allow commerce to flow if you’re going to allow these immigrants to flow.” But “that’s something separate from our conversation today,” he continued. Moran, for his part, avoided commenting on Santilli’s border shutdown protest. Instead he simply urged listeners to contact their elected officials and urge them to endorse reform legislation. Santilli closed the segment with a rousing call to action. “Let’s demand some accountability,” he said. “Let’s get to the border and shut it down on Cinco de Julio!” he said, almost screaming. There’s no question that the NBPC and its members have a stake in the immigration debate. But Moran, the union’s vice president, has no business being on an antigovernment show with an extremist host who threatened to kill the president and is planning to shut down the border. He really should’ve known better.